Start off your visit on the 10th (Sat): make a trip to Queen Victoria Building (QVB), browse the eclectic array of goods at Sydney Fish Market, then look for gifts at Opal Minded, and finally take a stroll through The Rocks. Here are some ideas for day two: wander the streets of Darling Harbour, stop by Belle Fleur Fine Chocolates, then tour the pleasant surroundings at Bondi Beach, and finally stop by Volle Jewellery. For photos, other places to visit, where to stay, and more tourist information, use the Sydney travel planner. Expect a daytime high around 29°C in November, and nighttime lows around 19°C. Cap off your sightseeing on the 11th (Sun) early enough to travel back home. Start off your visit on the 12th (Mon): kick back and relax at Terrigal Beach, then stop by Lou Lou Hart, then enjoy the sand and surf at Palm Beach, and finally enjoy the sand and surf at Balmoral Beach, Mosman. On the 13th (Tue), you'll have a packed day of sightseeing: ride a horse along Glenworth Valley Outdoor Adventures and then look for all kinds of wild species at Australia Walkabout Wildlife Park. To see reviews, maps, photos, and more tourist information, use the Manly trip builder tool . Manly is very close to Sydney. 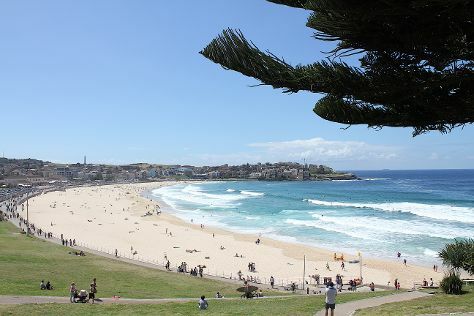 In November, daily temperatures in Manly can reach 29°C, while at night they dip to 19°C. Wrap up your sightseeing by early afternoon on the 14th (Wed) to allow enough time to drive back home.